Joanna came to the Cincinnati area from Way Out West (California and Washington) to serve as Canon for Christian Formation and Mission at Christ Church Cathedral in 2005 after ordination, serving there until the arrival of the new Dean in 2013. She then served at St. Anne’s in West Chester as their Interim Rector until May 2015, helping them to discern their own congregational identity and then to find a new rector who would be just right for them. In September 2015, she began a ministry at the Church of the Ascension in Middletown as a “transition priest for initial discernment,” helping them to discern the immediate future of their church and to explore ways to ensure the sustainability of the church. 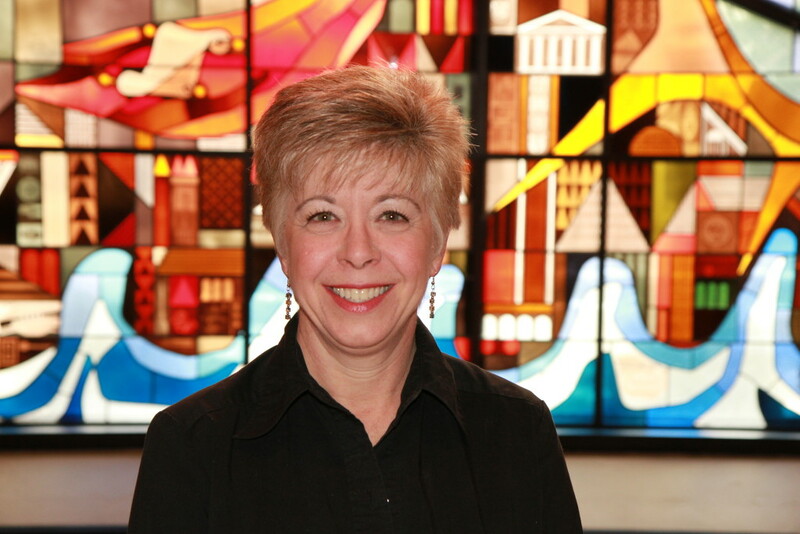 After completing their discernment, she began as Interim Rector at Calvary Episcopal Church in Cincinnati in Jun 2016, finishing with the arrival of their new rector in July. “These have been joyful times, and I anticipate that my time at Christ Church will also be a joyful one,” Joanna says. She is a writer “by passion,” she says, “and also because God keeps bugging me.” She wrote the children’s Church School curriculum, Weaving God’s Promises (2011, Church Publishing). If you are curious about it, check out the website www.weavinggodspromises.org to find out what the curriculum teaches the children. She also wrote a Lenten devotional book titled A Grown-Up Lent: When giving up chocolate is not enough (2014, Forward Movement/Church Publishing). Currently, she is beginning work on an intergenerational curriculum tentatively titled Building the Community, focusing on the Gospel values that help to build God’s Beloved Community. Coincidentally, she has just begun to serve on the newly-formed diocesan Beloved Community Task Force. She loves history, astronomy, paleontology, “flowers but not gardening,” the majesty and silliness of the English language, animals and all the wonders of God’s creation, all church ministry, rush hour traffic, chocolate, and advocating for social justice. She lives in Covington, KY and has three grown children and five grown cats. 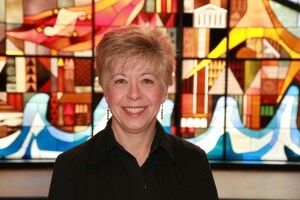 Emily Joyce is a life-long member of Christ Episcopal Church and is honored to serve as her Parish Administrator. With a Bachelor of Arts in Social Work from Wright State University, Emily is a Licensed Social Worker. She has previously worked in a local addiction treatment center; participated in a year of service with the Episcopal Service Corp in Los Angeles, California working for a non-profit that specializes in employment services for homeless and low-income individuals; and most recently completed two years with AmeriCorps VISTA at Wright State University where she created and implemented educational programs for at-risk college students. Being both a staff member and parishioner, Emily knows just how special Christ Church is and the unique position it has to serve the Dayton community in the heart of the city. Kris Sexton is President and Executive Director of the CityHeart Corporation. CityHeart started as an outreach ministry of Christ Church. In January, 2016, it began life as a separate non-profit corporation. CityHeart rents space on the lower level of the church building and is still strongly supported by church funds and volunteers. Click here to go to their website. CityHeart’s phone number is 937-223-CITY (2489). Hi, I’m Yun (pronounced as yoon) who has been serving Christ Church since 2000. It is my great privilege and pleasure to play our beautiful organ every Sunday, as well as working with many talented musicians in our parish, especially our dedicated choir members. I believe that music in worship is another form of prayer which expresses adoration for our loving God. I encourage anyone at any musical skill level to contact me if you are interested in serving in our music ministry. Kim is an employee Delano Sherley & Associates, Inc. which provides on site bookkeeping. She is generally at Christ Church on Wednesday each week. Mr. Cotton is an employee of Goodwill Industries which provides our janitorial services. He is a dedicated worker who shows hospitality to all who visit Christ Church.